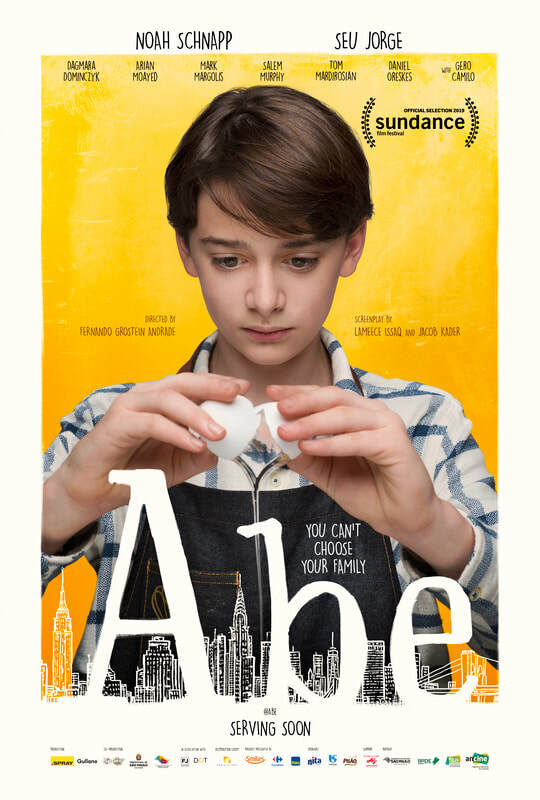 Abe, a full-length feature film I co-wrote with Jacob Kader, co-created and directed by Fernando Andrade Grostein, premiered at the 2019 Sundance Film Festival! Starring Noah Schnapp, Mark Margolis & Seu Jorge. I'm proud to be a part of Pop Culture Collaborative/Noor Theatre's Artists Advancing Cultural Change cohort, along with fellow actor/screenwriter Arian Moayed (Succession) and screenwriter/director Mike Mosallam (Breaking Fast). We'll each be writing works that reflect issues in contemporary American culture, through our own unique Middle Eastern lenses. Read the interview I did with Pop Culture's Executive Director, Bridgit Antoinette Evans. I had the pleasure of narrating the amazing Cory Doctorow's Unauthorized Bread, "a tale of immigration, the toxicity of economic and technological stratification, and the young and downtrodden fighting against all odds to survive and prosper.” Purchase here! My play Food and Fadwa was recently published in the anthology Contemporary Plays by Women of Color, 2nd Edition.